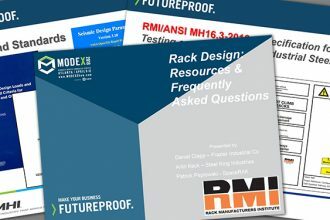 When the specifications for a pallet support beam are determined by a qualified rack design engineer, the maximum amount of deflection—or bowing—permissible is included in the calculations as noted in Section 5.3 of RMI’s ANSI MH16.1-2012: Specification for the Design, Testing and Utilization of Industrial Steel Storage Racks. The deflection limit equals the horizontal length of the beam divided by 180 (or 0.55% of the clear distance between the columns). However, this deflection limit is not in place to ensure the structural integrity of the beam or rack. 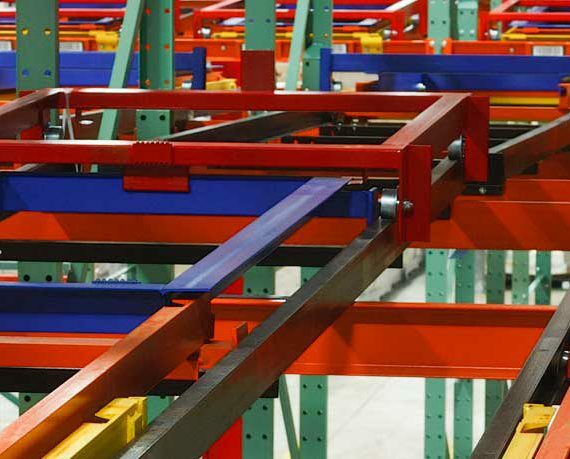 Instead, it’s to ensure that personnel interacting with and working around the rack feel safe when they see normal pallet beam deflection. 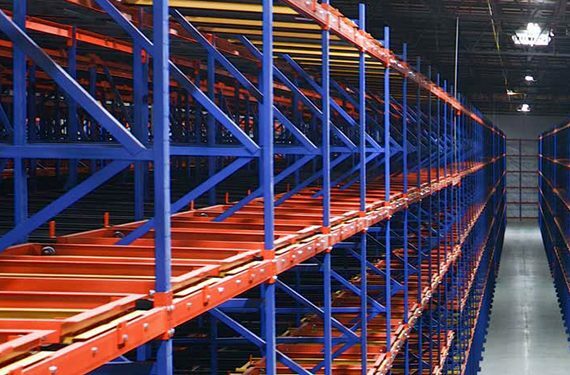 In the 1960s, RMI determined that the calculation length divided by 180 quantified the point at which persons believe the situation is unsafe when deflection in pallet rack is observed. 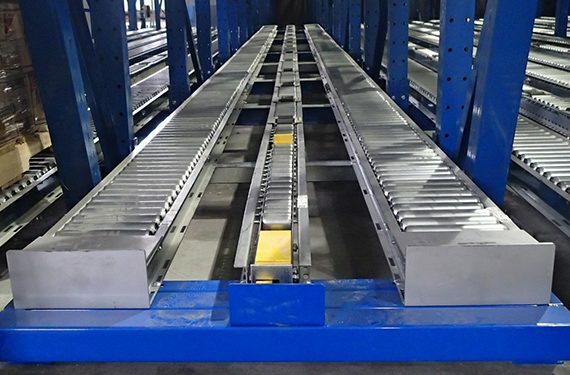 Certain installations—particularly those that will be accessed by robotic load or pallet inserters and extractors in automated storage and retrieval systems (AS/RS)—typically specify a tighter deflection limit for load beams, such as the length of the beams divided by 240 (or 0.42%). This lesser amount of permissible deflection minimizes the risk of the automation (or the load) coming into contact with the beams during placement or removal. 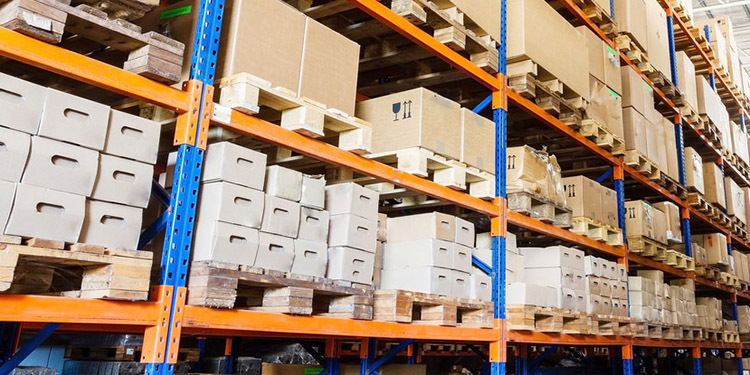 Although pallet beam deflection limits have no direct bearing on rack safety, improperly placed pallet loads can cause a safety issue when removing them or the individual products or cases stacked atop the pallets. The reason is, as the beams naturally deflect under the weight of the loads (typically two per bay) the loads will tilt toward each other, getting closer toward the top. 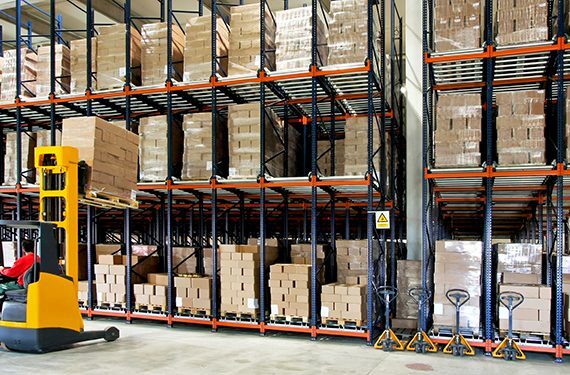 When placed improperly in the bay (asymmetrically, unevenly, or with non-uniform weight distribution) the risk that a pallet load of product will come into contact with another during load placement or removal—and potentially fall or injure a worker—is increased. Looking for more information on load beams? 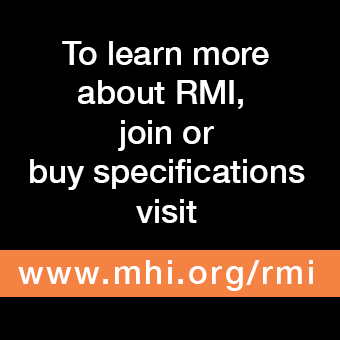 Read more in RMI’s Load Beam section in its list of Frequently Asked Questions.